Do you want to get behind the wheel of a sedan that knows a thing or two maximizing both luxury and performance? Then, now is the time to get to know the Nissan Maximas now for sale or lease at Universal Nissan. Once you see this class leader for yourself, odds are it will not be long before you end out on the streets of Orlando FL and behind the wheel of a Maxima of your own. 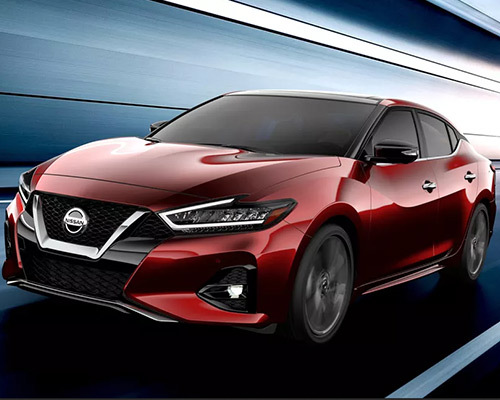 Power and performance are on full display in the latest Maxima sedans from Nissan thanks to Maxima's beating heart, the legendary VQ V6 engine, this concept always holds true. Capable of generating 20 miles per gallon (mpg) in the city and 30 mpg on the highway, the VQ V6 boasts access to 300 horsepower (hp) and 261 pound-feet (lb.-ft.) of torque. Outside of class-leading performance under the hood, Nissan Maxima also has plenty of other sport-tuned upgrades at its disposal. First up, the Xtronic continuously variable transmission (CVT) and option to flip between Normal and Sport driving modes ensure you always maintain complete control over your time spent on the road. Going a step further, having the Maxima's independent multi-link rear suspension with monotube shocks on your side keeps the good vibes rolling as you hug every corner and hairpin turn in Orlando. If you end up driving home in a purchased or leased Nissan Maxima from Universal Nissan, you are definitely poised to send a strong message to other drivers out on Orlando roads. That message? You refuse to get behind the wheel of any car that does not set the tone when it comes to elegance and grace. Thankfully, by leveraging an aggressive, streamlined exterior features sculpted curves and an inviting profile, the Maxima never lets you down on this front. Upgrade your daily commute with the power, allure, and comfort of the Nissan Maxima S model. 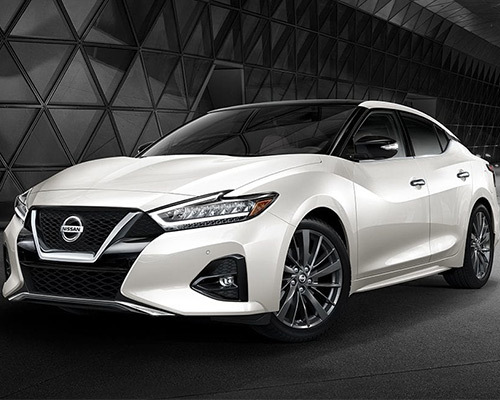 With access to signature daytime running headlights, Apple CarPlay and Android Auto, the 11-speaker Bose Premium Audio sound system, and countless other high-end inclusions, one thing is for sure: Getting the most out of your time spent behind the wheel begins with the power of Nissan Maxima S on your side. Don't you deserve a heart-pounding dose of excitement in your automotive future? Then, now is the time to come get to know the Nissan Maxima SR. Built to embody style and power, Maxima SR offers up sport-tuned suspension, gloss black aluminum-alloy wheels, leather-appointed seats, sporty paddle shifters, and a veritable mountain of other premium features. If having your cake and eating it too is how you like to live your life, then allow us to introduce you to Nissan Maxima Platinum. Built with the finest driving experience in mind, this class leader features NissanConnect, a memory system that tracks how you prefer your driver's seat, steering wheel, and outside mirrors configured, a hands-free text message assistant program, and countless other high-end inclusions. No journey across Orlando is complete without the perfect soundtrack. Nissan never lets this fact slip through the cracks, which is why the Maximas offered up for sale or lease here at Universal Nissan lay claim to the optional Bose Premium Audio System. Delighting in your favorite tunes and shutting out the noise of the road is a breeze thanks to Active Noise Cancellation technology, Active Sound Enhancement, Acoustic Laminated Glass, and tons of other high-end inclusions. Does having access to Google Assistant or Amazon Alexa make your daily routine a little more manageable? Then, the latest Nissan Maximas found for sale or lease here at Universal Nissan have you covered. From locking and unlocking your doors and setting the temperature controls in the cabin to locking up your Maxima and starting the engine remotely as you make your way across the parking lot, tapping into the power of the latest artificial intelligence is all part of the Maxima experience. In terms of getting the little things right, Nissan Maxima has no peer. To prove this point, just look at some of the premium features and functionality made available in this class leader. As this sampling of available features showcases, the Nissan Maxima has everything needed to optimize — and improve — your daily drive. The moral of the story here? 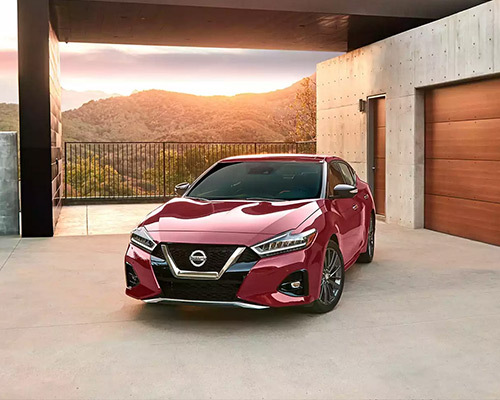 How about the realization that parking a Nissan Maxima in your driveway is the only way to experience the perfect blend of high-end safety, premium tech, and class-leading luxury.